We took off to Bishop early in the morning of 24th so that we can have a chance to get on some boulders in the afternoon. However, it seemed like it snowed in Buttermilks the day before and could only get on some dry ones. During the week, we climbed at Sad and Happy for the first 3 days which paid off; able to climb at Buttermilks afterwards. Other problems I was aiming at were Bleached Bones V4** and Serengeti V5***. Thanks to G & C's advice, I got Bleached Bones V4** with the awesome knee bar move and the nice crash pad shade! Serengeti V5*** might be doable if I work on it, but I'll have to get used of the heel hook at that height!! At Buttermilks when Yusuke was getting on Fly Boy Sit V8***, many people were trying the Fly Boy Arete V5** which looked easy so I hopped on. I didn't have a chance to link the whole part because the sun went down but I finished it in 3 tries the next day. The last problem I did on this trip was one that Yusuke kept recommending, King Tut V3***. At first I couldn't figure out a small people move and the next time I tried it was too hot, so I went back after sunset and finished it in 1 try! So glad that I got on some new problems and actually sent them!! G warming up on Grandma!!! Got my first 3 star V4 at Leavenworth!! Didn't ever think I would be able to finish it when I touched it last month and also because Yusuke said it was a hard one after he got it. The most exciting part of this climb was that I found my way to the slopey gaston myself, but got stuck with a good left foot hold, and with Scott's advice, I made up a different move to get to his high foot hold and after that was so easy!! I also tried Feel the Pinch V4*** and Fridge Center V4***, but need more training to finish those.... coming back to get you guys!!! 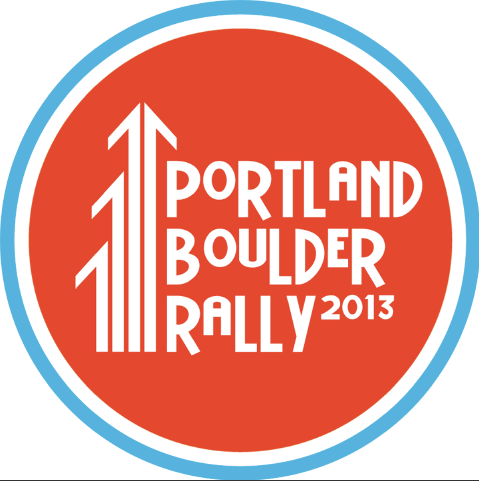 3rd time in my life, I competed in a boulder competition. 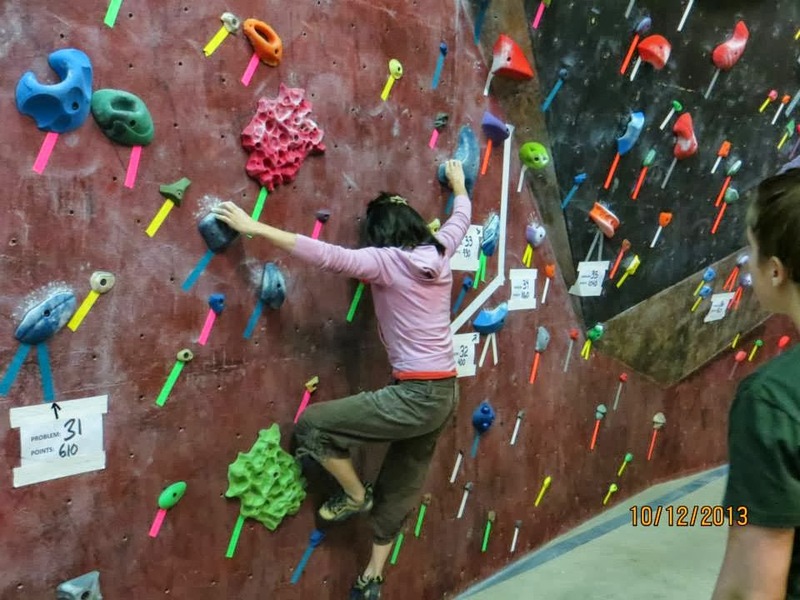 1st time was in Japan when I was a super-beginner, 2nd was in New Jersey; came in 1st and won a pair of Sportiva climbing shoes. 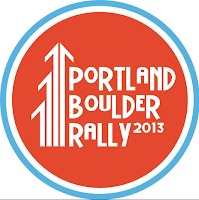 This year, Portland Boulder Rally added a Master class for +35 years old, so I decided to participate in this class. However, it came out that there were only 3 participants, which means that however I do, I will get a prize anyway. BUT it wasn't the prize that I really wanted. I needed the highest points to see how I would have competed in the other classes. The competition was scored with the highest 5 points you got, and thanks to a good friend that gave me advice, I was able to flash a high score problem. In this comp, how many attempts you do, the points will remain the same if you finish it (meaning that there are no deduction points), but the number of attempts will affect if its a tie. 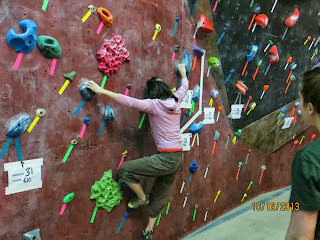 Because there was a Youth class too, the problems were super good even for my size. Every problem had a way to do it. Even though I was 150 points away from 1st place, it looks like I was something around 5th place in Intermediate. I did miss a high score problem that I wanted to get on, and actually finished it in 2 tries on the next day, but even with that problem(+100 points), I could never beat the winner. I had a chance to talk to her and found out that she was not only older than me but started climbing at an older age than me. I thought I was the only one(except my younger brother) who would start rock climbing at this age! 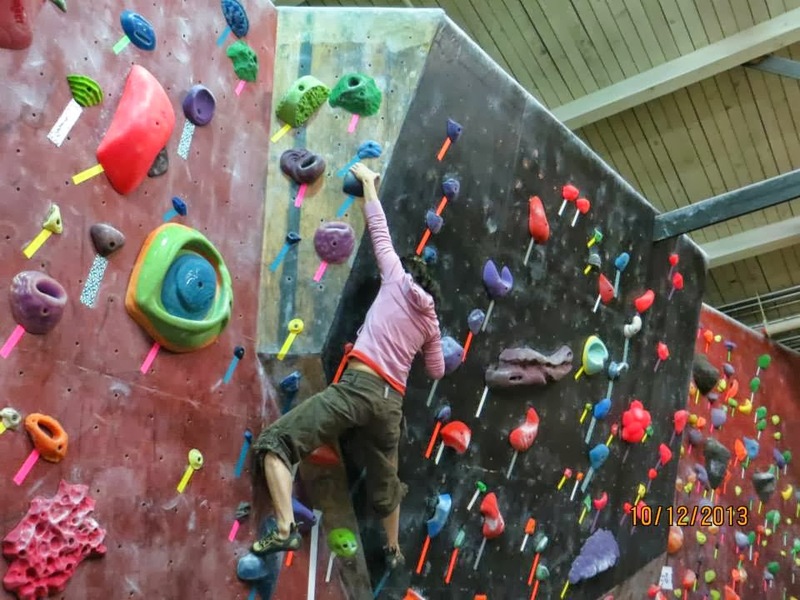 Overall, I was well prepared; starting hot yoga and training at the gym, and was able to give my best shot in all my climbs, so I am very satisfied and also even more motivated to climb now! Moved to the States in May, 2011 and enjoying my climbing life with my beloved husband.